Archaeologists discovered the ancient structure in the Egyptian town of Mit Rahina, the Ministry of Antiquities announced Tuesday. 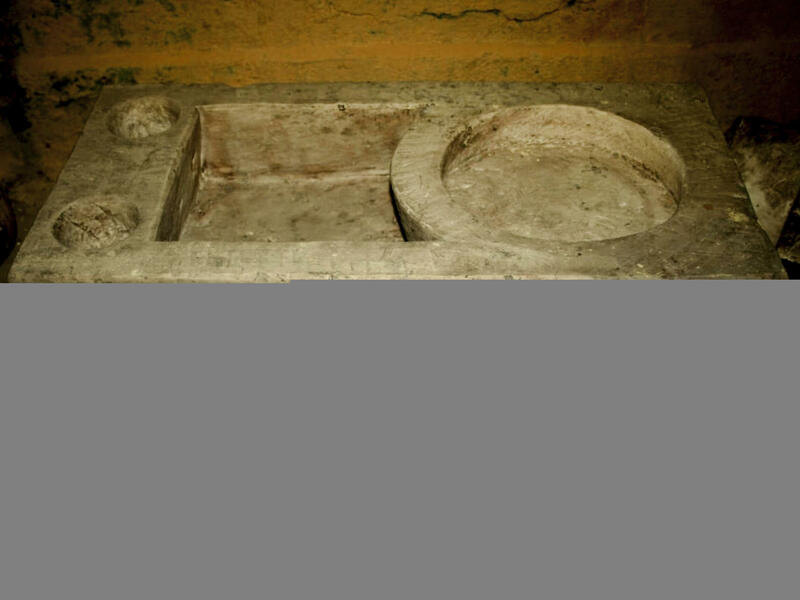 This basin was likely used for religious rituals, archaeologists say. The newly found ruins are located about an hour south of Cairo, near an open-air museum in the town of Mit Rahina, the ministry says. 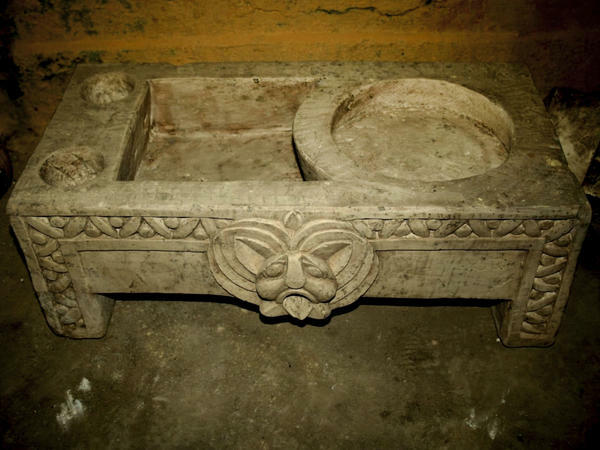 Archaeologists also discovered a connected structure, containing a Roman bath and an ornately carved basin, which was likely used in religious ceremonies, according to The Associated Press. 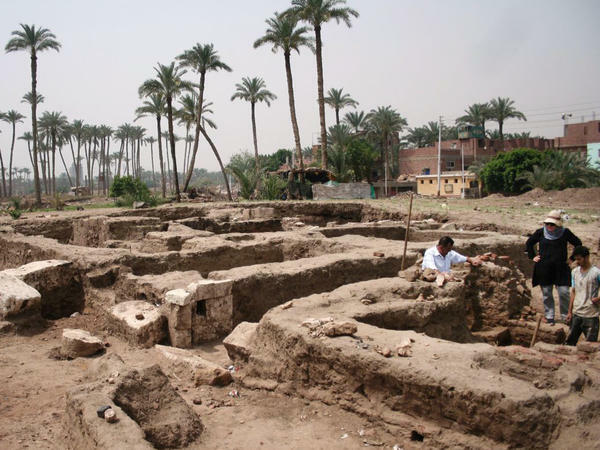 Mostafa Waziri, secretary-general of Egypt's Supreme Council of Antiquities, said the area was most likely part of a residential community in Memphis, the AP reports. Memphis and its necropolis became a UNESCO World Heritage site in 1979. The grounds contain the remnants of sun temples, palaces, pyramids, residential neighborhoods and thousands of rock-cut tombs. Last week, archaeologists found a sandstone sphinx when they were excavating a temple near the city of Aswan, in southern Egypt. The statue was found close to a site where two reliefs of King Ptolemy V were recovered two months prior, according to the American University in Cairo. Salima Ikram, a professor of Egyptology, said the sphinx and slabs trace back to the Ptolemaic Period. They "show us that the exterior area of the temple was an active ritual and cult place" and that it "played an important role in the spiritual, political and economic life of the people." New archaeological discoveries in Egypt could drive tourism at a time when the industry has seen a decline. On Monday, Tourism Minister Rania Al Mashat announced a partnership between the ministry and Zahi Hawass, the former Antiquities minister and archaeologist known as "Egypt's Indiana Jones," as part of a campaign to promote tourism in the country.